Power generation is moderating while environmental protection policies still in full swing in China. India implements the nationwide electrification plan unsatisfactorily, and the market expects further improvements in the future. Singapore power market is suffering from excess competition and high reserve margin. China has entered into the new era where economic development will be focused quality rather than quantity. Therefore, power generation as one of the key economic indicators has moderated to 7% YoY growth in 2017. Meanwhile, the authorities remain vigilant in enforcing their environmental protection policies. The Chinese government has clamped down on the discharge and emission of pollutants. It is encouraging the development of waste treatment by promoting PPP mode in the utilities sector. Accordingly, the treatment plants benefit from the higher tariffs and capacities in 2017. 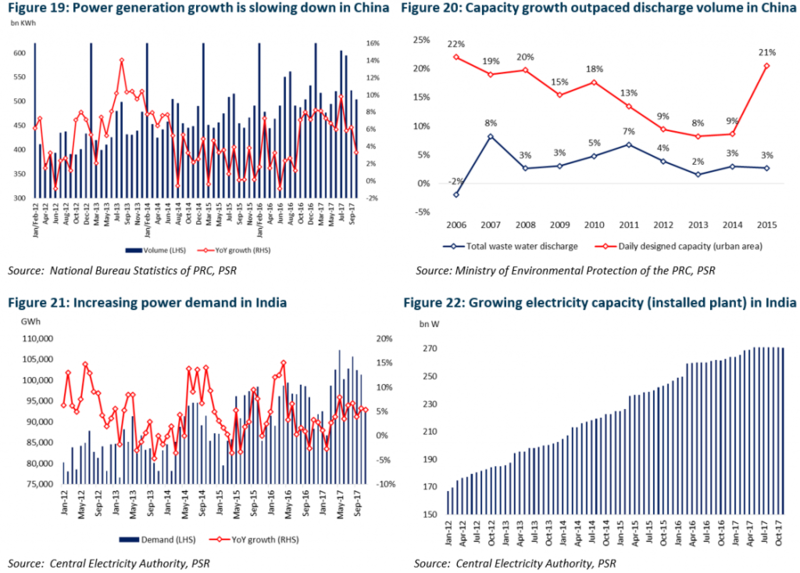 India still faces steady demand for electricity, which drove the rollout of more power projects nationwide. However, due to the relatively poor coordination of power supply and infrastructure development, some regions encountered power shortage and outage, and some newly built power plants suffered from lower or even negative spark spread in 2017. 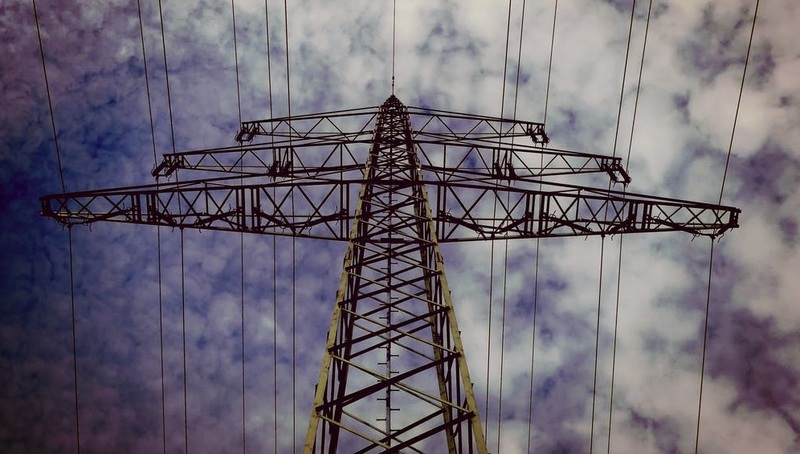 Singapore utilities sector face the challenge of a flat-line in demand for power and excess supply. 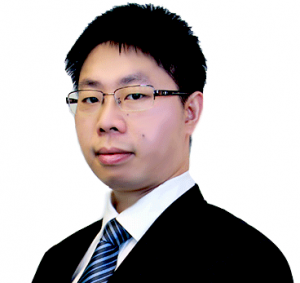 The reserve margin in Singapore is around 90% (i.e. capacity installed is almost double peak demand), far above the minimum 30%. The take-or-pay LNG gas contracts exacerbate the supply situation. Though the ASP of electricity has recovered due to higher gas and coal prices, the average spark spread is still low, resulting in thin margin in 2017. As we look ahead into 2018, we expect the Chinese authorities to launch more favourable guidelines and policies to advocate PPP projects. Sector consolidation, project upgrading and tariff hike will the key domestic policies. Expectations are for power and water tariff hike in Jan-18. In India, ‘Power for all’ programme continues, and state governments are urged to improve the coordination and infrastructure. The start-up issues persist on those power producers who fail to lock in long-term power purchase agreement. Therefore, the power price volatility in the spot market will continue. From 2H2018, the retail power market will be fully liberalised in Singapore. It is expected that the rest of 1.3mn consumers are eligible to purchase power directly from any providers in the retail market. It will be a challenge for retailers whether they can operate efficiently and effectively. However, we do not think a price war will occur since the gradual liberalisation of retail power market over the past few years had been buffering the impact and perception of market competition. Our top pick in utilities sector is China Everbright Water (CEWL). In Oct-17, The 19th National Congress of the Communist Party reinforced the establishment of ecological civilization and environmental protection, which was in accord with the guidelines stated in the 13th Five Year Plan. We believe that the macro conditions in the next five year will continue to favour CEWL. As of 3Q17, the group’s daily designed capacity reach 5mn+ tonnes, and it expects to achieve the target of 10mn of which within the period of the 13th Five Year Plan. The ongoing upgrading projects and water tariff hike will enhance profit margin. Meanwhile, it will strengthen the technology development and tap into WWT market in rural areas in the near future.